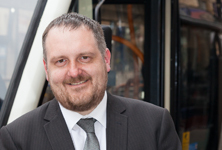 Douglas Robertson has more than 20 years’ experience within the bus industry, having started his career as with Stagecoach Bluebird in 1998 where he carried out a variety of roles. Running throughout the Dundee school holidays (March 30 to April 14) the scheme will allow families to enjoy a day out and discover the city by bus. 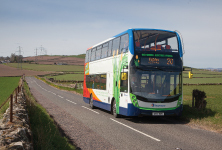 The brand new double deck buses are low floor easy-access and fully equipped with leather seats, seatbelts, free wi-fi, USB charging points and contactless payment facilities.